This is a NEW PRODUCT: AVAILABLE NOW for immediate delivery. Horses are grazing animals and hence trickle-feeders. The health of their gastrointestinal tract and overall well-being is dependent on the consumption of small, regular meals throughout the day and night. This helps reduce digestive, metabolism and stable vice issues. Simulate a natural eating posture and feeding rate with this product and realise the benefits to your horses behaviour and well being. Feeding forage at a natural pace: That’s pure horse sense. The health of a horses gastrointestinal tract and overall well-being is dependent on the consumption of small, regular meals throughout the day and night. It has the added benefit of eating with a natural posture, unlike suspended hay bags. This helps reduce digestive, metabolism and stable vice issues. 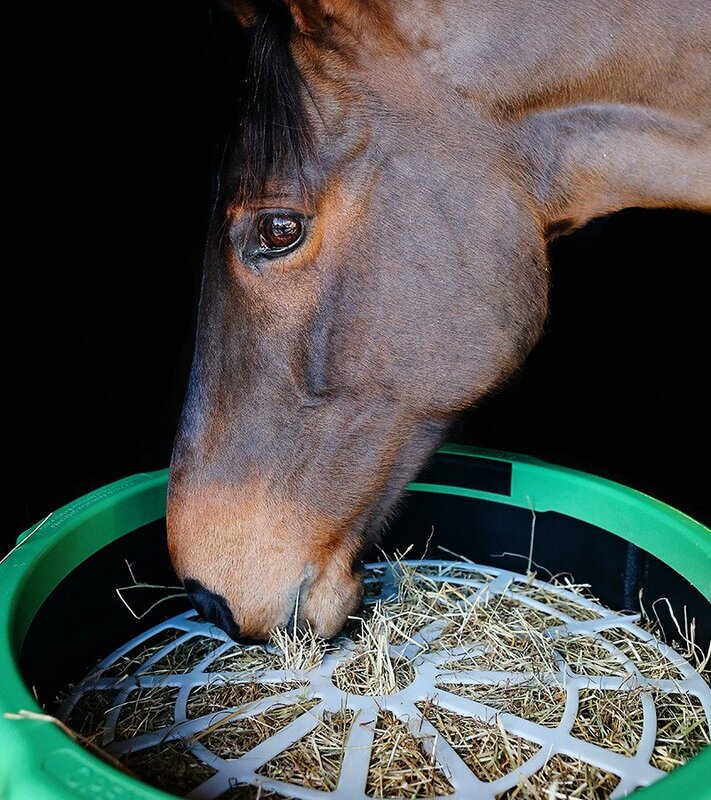 The scientifically-designed Haygain Forager, developed in cooperation with the Royal Agricultural University, bridges the gap between natural behaviour and stable routine by regulating your horse’s eating pace. 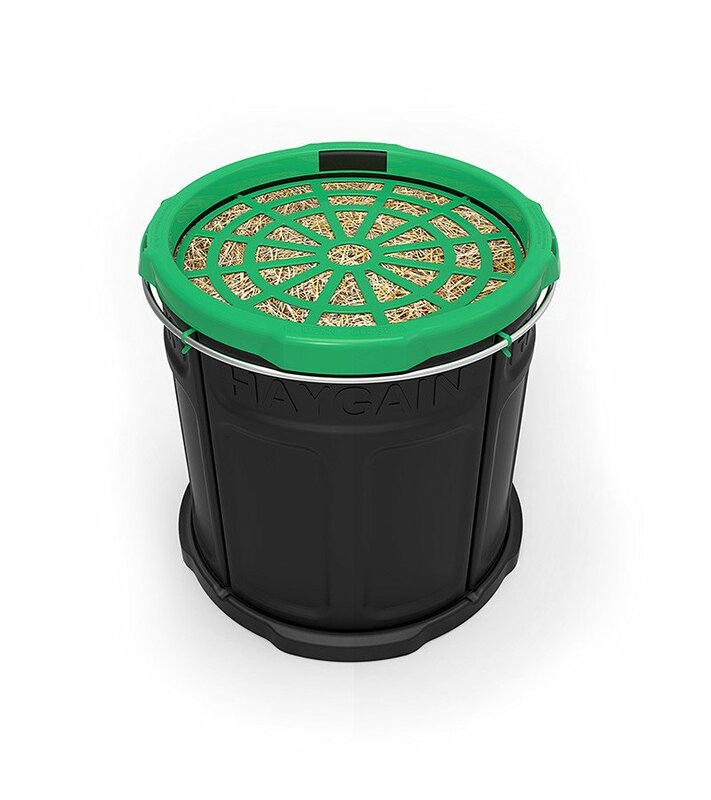 It comes with two different forage regulators (patent pending), which have apertures of different shapes and sizes. These help your horse to naturally forage around by pulling the hay through the various holes a bit at a time, without causing stress - similar to grazing in the wild! Cost is $450.00 (Includes GST only). Delivery is at your cost by your preferred Freight Company. *Please note that this product is available for delivery in New Zealand only.